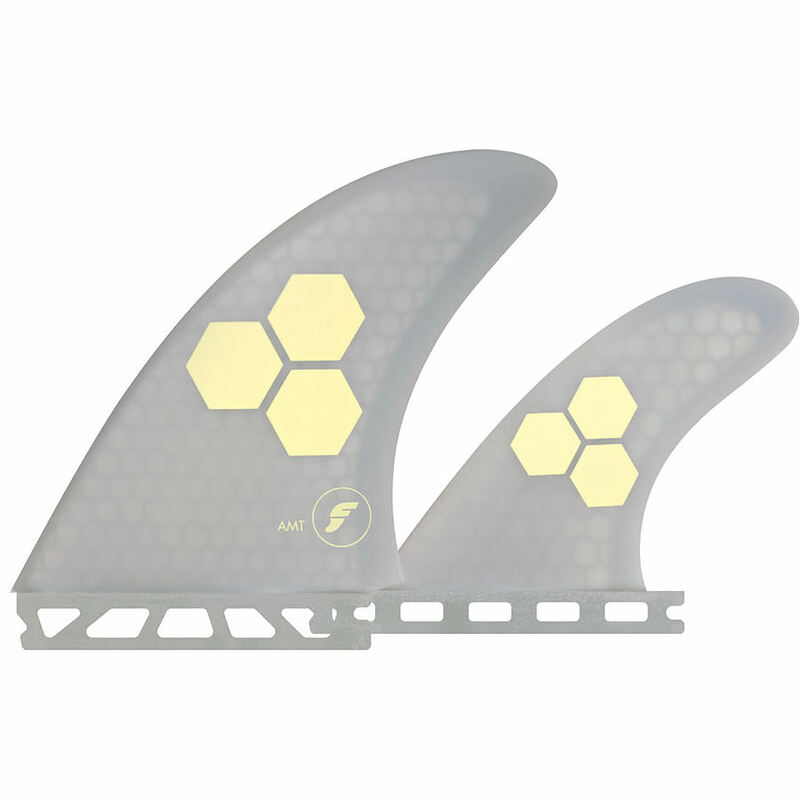 3.5	stars -	"Review for Futures AMT Twin Fin Set" Mark Taylor This Futures AMT Twin Fin Set is the best Fins Quad,Twin, 5 Fin I have tried. The AMT was designed by legendary Channel Islands creator, Al Merrick, for Rob Machado’s Robber model surfboard. The AMT generates maximum speed, drive and hold through big carves to perform around pointbreaks or lined up beach breaks. The AMT’s honeycomb material give this fin a medium flex pattern while the large area provides ample hold in powerful waves. The AMT includes a small trailer for additional stability and performance.